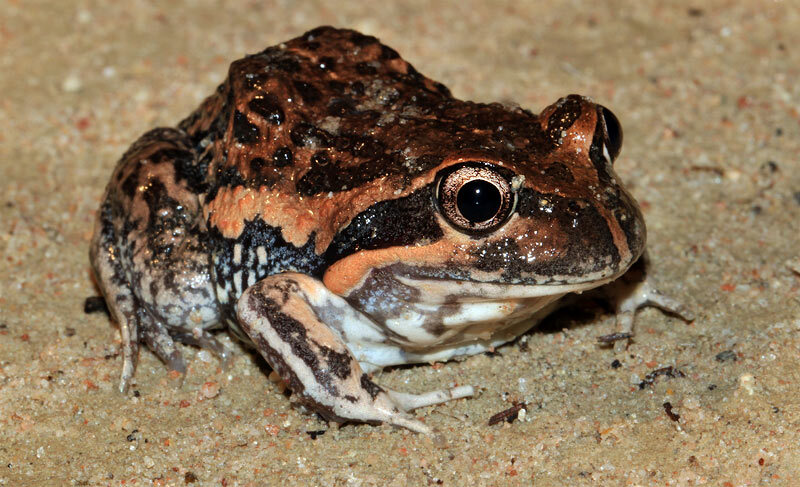 The Eastern Banjo Frog (Limnodynastes dumerilii), also colloquially known as the ‘Pobblebonk’, is a species of burrowing frog native to south-eastern Australia. This colloquial names of this species reflect it’s ‘bonk’ call, which sounds a bit like a banjo string being plucked! Males of the species produce a single ‘bonk’ note, with other individuals often calling in response. 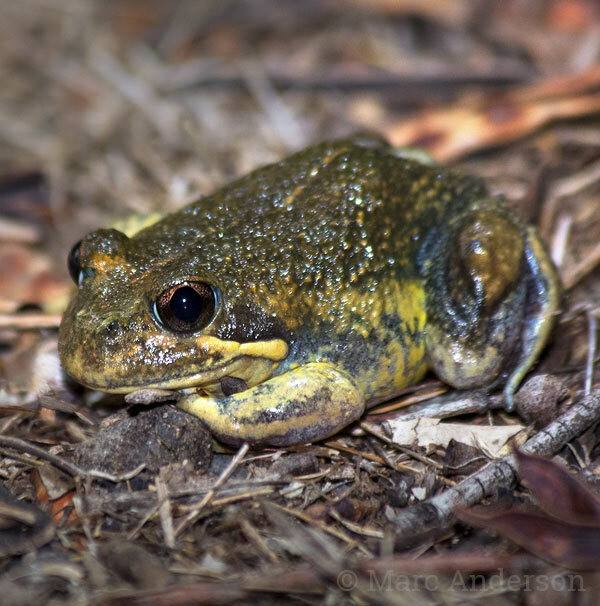 When many frogs call and respond, it creates a delightful chorus of notes at slightly different pitches and is a unique sound of south-east Australian wetlands. 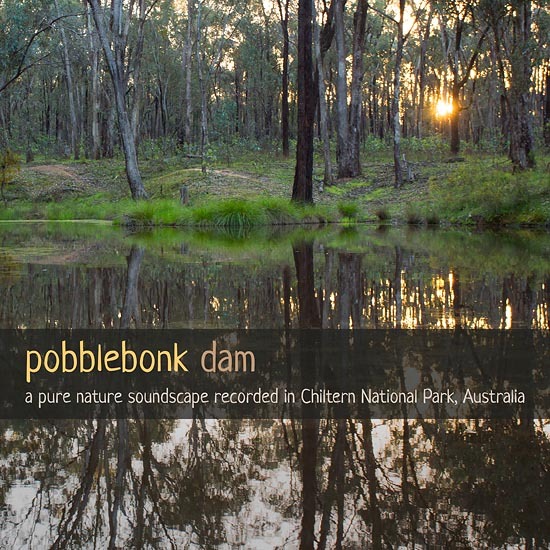 EBF1 In this first sample you can hear typical ‘bonk’ calls from male Eastern Banjo Frogs calling from the edge of a small dam in Chiltern National Park, Victoria. EBF2 This recording was made at the same location as the previous, but more frogs can be heard calling and responding.